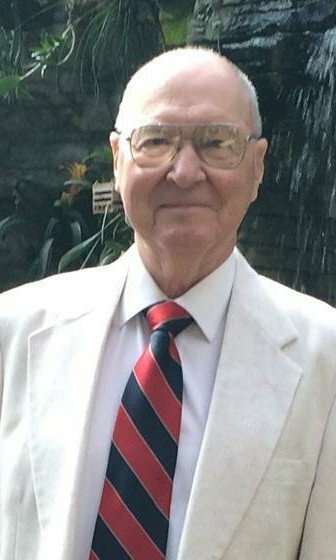 N. LeRoy “Lee” Lapp, M.D., a pioneer in the study of lung diseases in West Virginia coal miners passed away July 16, 2018 in Morgantown, W.Va. at the age of 86. Born in Perkasie, Penn., he attended medical school at Temple University and completed residency training in pulmonary medicine at the Mayo Clinic. Dr. Lapp was recruited to join the new Appalachian Laboratory for Occupational Respiratory Diseases (ALFORD) in 1966, a precursor to NIOSH. There he performed research on the mechanisms of occupational dust-related lung diseases. His work was instrumental in the development of guidelines related to the diagnosis, as well as federal regulations, impacting mining practices and compensation of workers. This research led to several international collaborations in France, Germany, England and the former Yugoslavia. He presented at many national and international conferences and greatly enjoyed taking his family on his travels. He was recognized as an expert in chest x-ray interpretation by the American College of Radiology and as a highly sought-after expert for legal cases related to occupational lung disease compensation. He was the first physician in West Virginia to use lasers to treat lung tumors. Joining the West Virginia University faculty in 1975, Lapp was professor and chief of the section of pulmonary and critical care medicine through 1985 and continued as professor until his retirement in 1995. Following his retirement, he remained active with the School of Medicine, serving on the admissions committee, attending weekly grand rounds and assisting with teaching. Throughout his nearly 30 years as a physician, he cared for many patients and led the development of critical care medicine at WVU Medicine. He taught thousands of medical students, physical therapy students, interns, residents and colleagues, not only how to diagnose and treat lung diseases, but also how to care for people with compassion and love. “Dr. Lapp was an inspirational professor and physician who approached teaching and treating patients with a patient and kind demeanor,” Clay Marsh, M.D., WVU health sciences vice president and executive dean, said. “He was generous with his time and knowledge and left an indelible impact on the many students, residents and faculty members with whom he had the opportunity to work. Lapp was honored through being named a Benedum Distinguished Scholar, as well as having the N. LeRoy Lapp Internal Medicine Teaching Day conference named for his work. In 1994, the N. LeRoy Lapp endowed professorship was created in his honor to support an eminent faculty member of the pulmonary and critical care section. His long-time professional service was recognized by the American Lung Association as the Outstanding Clinician in 2004. "Dr. Lapp was a wonderful mentor and role model for generations of physicians,” John E. Parker, M.D., professor of pulmonary and critical care medicine at WVU, former student and current holder of the N. Leroy Lapp endowed professorship, said. “His lifetime commitment to outstanding medical education, research and patient care was always guided by his distinctive caring spirit, his humble manner and his devotion to humanity." A Celebration of Life service will be held on Sat., July 21 at 1 p.m. at Suncrest United Methodist Church in Morgantown. In lieu of flowers, memorial contributions can be made to the N. LeRoy Lapp Professorship in Pulmonary and Critical Care Medicine through the WVU Foundation. Donations can be made online through the WVU Foundation website. Checks should be made payable to WVUF and mailed to: WVU Foundation, P.O. Box 1650, Morgantown, WV 26507.